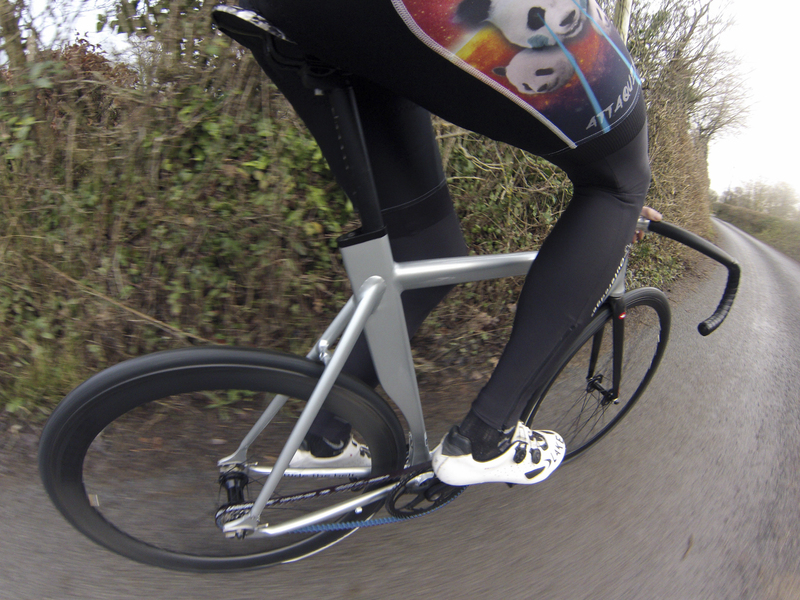 Here are a couple of sneaky snaps of the Overlap Pura track bike. I have been riding this over the past few weeks and the full review will be up at the end of the month. I was always intrigued by carbon belt drives and how they feel, whether they are strong enough to ride brakeless fixed gear or if I would go to lock up and everything would go wrong. If you want to know more about this carbon belt drive system then stay tuned. 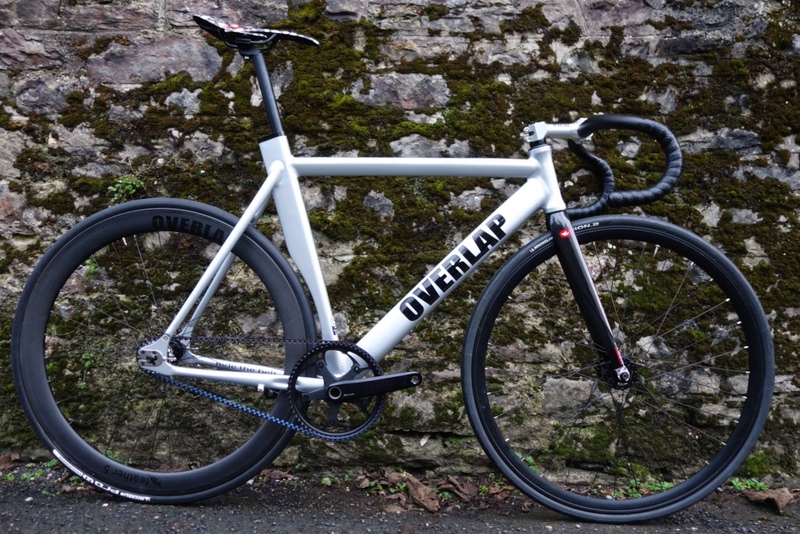 I also got to try out the new titanium crankset and carbon rim from Overlap. This bike has lots of cool features and innovations, I am really looking forward to writing this review, but for now you will have to settle with a couple of photos. If you can’t wait a few weeks and want to see more then check out the Overlap website!